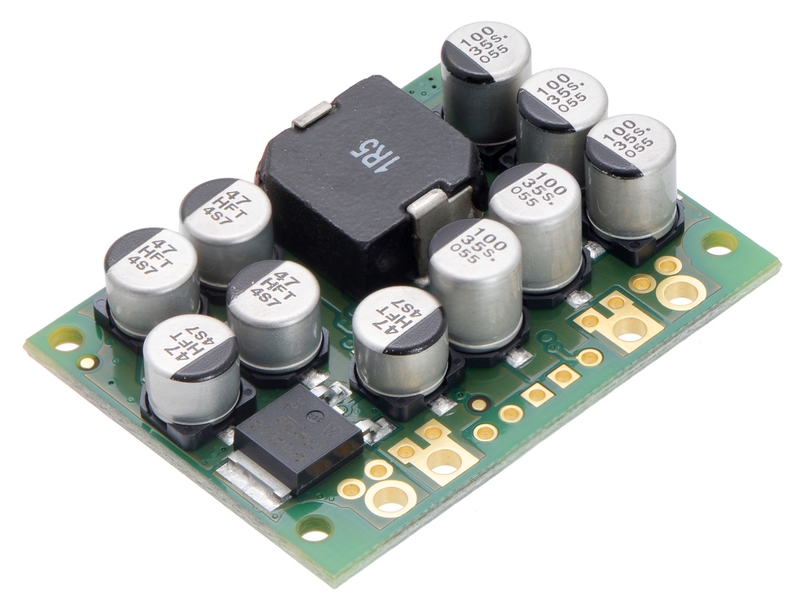 This synchronous switching step-down (or buck) regulator takes an input voltage of up to 40 V and efficiently reduces it to 3.3 V with an available output current of around 15 A. Typical efficiencies of 80% to 95% along with its high current capabilities make this regulator well suited for powering large loads. The regulator features reverse voltage protection and a power-good output that indicates when the regulator cannot adequately maintain the output voltage.